Geared particularly for women, the all-night event aims to attract newcomers to computer programming by providing a fun, lively and accessible hackathon. It's also a chance for participants to explore new ideas, experiment and collaborate, while racing to address a variety of challenges. 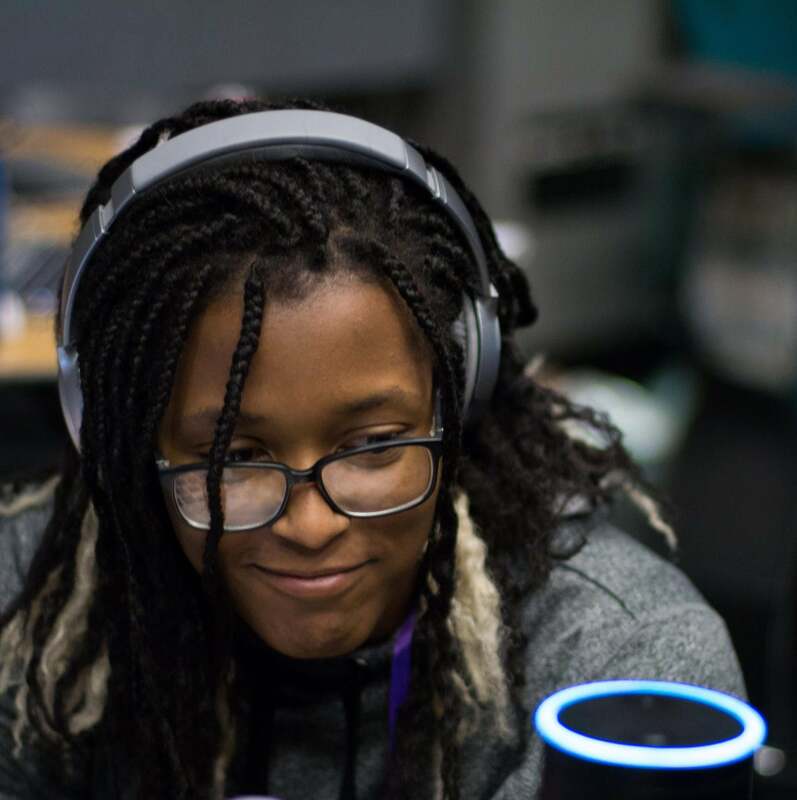 T9Hacks is geared toward college students and recent college grads, especially women, non-binary, and transgender students—the “T9” stands for “Title IX,” a U.S. amendment that prohibits gender-based discrimination in education. New this year: The 2018 hackathon will offer three tracks—Creative Technology, Humanitarian Technology, and Cybersecurity—with workshops and design challenges that introduce students to the topics, teach them a variety of relevant tools and help them navigate complexities and build solutions. ATLAS PhD student Brittany Kos, who created the event and has organized it for the last three years, intends that T9Hacks provides students with an opportunity to explore possibilities, get started on a project they may have had in the back of their minds, or create a solution to a problem they encountered. "No prior programming experience is required,” Kos says. Who: Open to current and recent college graduates. Participants need not be CU Boulder students to attend. When: Saturday, Feb. 10, 10 a.m., through Sunday, Feb. 11, 3:30 p.m.
For more information, including a detailed schedule, visit the T9Hacks website.